About Stephanie - a note to the recipients of her gifts of life! I met Stephanie when she was 25 and I was 45. See, I had always run with a bit younger crowd, and she enjoyed hanging with an older crowd. I was just amazed such a beautiful and vivacious lady would show an interest in me. That was Memorial Day weekend, 2002. We fell in love dancing to Country music, and drove to Vegas in my convertible Camaro to get married over Labor Day. From the beginning Stephanie told me her health wasn’t great, and that I would outlive her. I passed that off as the babblings of a somewhat immature girl, but she persisted with this notion all the thirteen years I knew her. And by the way, I soon realized she was anything but immature. Stephie had a congenital deformity of her heart from birth, and I think she expected to die from that. In truth, she just had a very weak body hidden behind a hardened steel constitution! Stephie started having severe migraine headaches, and they found a cyst in her brain. We were scheduled to go to a neurosurgeon in July, but she died in June. A few weeks before she died, Stephie sat down and wrote out her wishes. In that letter to me, she wrote that she wanted her body to be used in any and every way possible to benefit others! See, Stephie was a recipient of donor bone for a spinal fusion, and wanted to give back. But she would have wanted to anyway. Stephie was just a giver and a lover of everyone and everything! As Stephie collapsed in my arms on that last day we had together, she whispered her last words to me, “You know I love you!” Stephanie would want you to know, and her son and I want you to know, that you must not feel guilty for benefiting from her death. She didn’t die to donate her organs. She died because she was mortal, as we all are. She was just excited that, should she die, she could continue to show her love after her death by giving of herself to the benefit of others. Stephanie loved to crochet and made afghans as gifts. She scrapbooked, and had “scrapping parties” with friends at our home. She loved to adopt rescue dogs, and we had a houseful! She liked to say she had a love affair with books, and she owned hundreds of them. 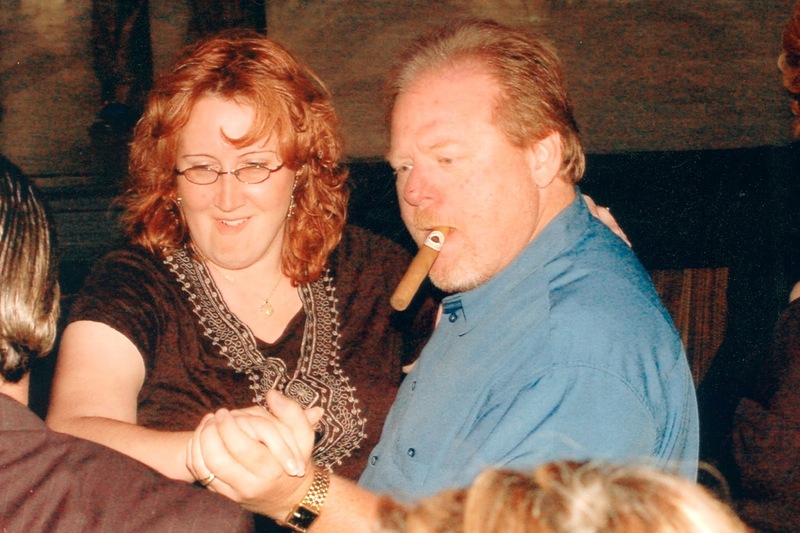 She loved slot machines and the Atlanta Braves – and she loved to dance. In fact, in the middle of Wal-Mart, at a restaurant or in our own living room, if a waltz came on, we would drop what we were doing and dance right there where we stood! So her son and I ask that you rejoice with us. Rejoice that Stephie is no longer in pain, but dancing with her Lord. Rejoice that hers was a special life, and that even though she died young, while she lived she truly LIVED! And finally, let us rejoice with you that her final gift gave you a new chance to LIVE your life. And if you don’t know how to dance, please learn! Stephie would want it that way.